Memories of a Vagabond Free NOW on IndieGala! Get a free copy of Memories of A Vagabond! Get Memories of a Vagabond FREE! 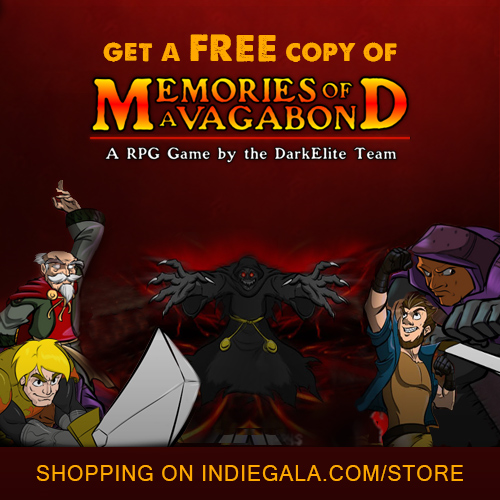 Get Memories of a Vagabond free on IndieGala! Remember that if you’re on the hunt for cheap PC games just sign up for our newsletter. Get the best deals on the latest and greatest games from Steam and Uplay right in your inbox! GET A ‪#‎FREE‬ COPY OF Memories of A Vagabond SPENDING AT LEAST €3/$3 ON Indie Gala STORE! You play as a young mercenary and travel from soul to soul to avenge your fiance and her family. Will you be brave enough? Happy Easter from Indie Gala!